The tractor industry is set for a revival after a long de-growth in the agriculture sector across India. After two successive years of inadequate rainfall in most parts of the country, reports indicate that the south west monsoon will be normal or even above normal in 2016. With this good omen, Mahindra has unveiled Yovo, five agri specialists’ tractor in the range of 30-45 HP range hoping to revive sales in the market. Mahindra and Mahindra’s Farm Equipment Sector (FES), the market leader in the tractor sector with about 41 percent market share are hoping for a revival of tractor sales and gain a bigger market share with a normal monsoon this year. Weather scientists say that they have spotted signs of a normal rainfall during the June-September monsoon season, if not a good, rainy season this year, sparkling hopes among farmers and others allied sectors. “We have our fingers crossed and with a revival of good monsoon, it will help the entire agriculture sector. If this happens, then we can expect an 8-10 percent jump in the market,” remarks Shahane. The present market size in 2016 is forecasted at 4,93,000 units while in 2011 it was 6.30,000 units. “This shows the potential this sector offers to the country’s growth. The de-growth over the last two years has led to a loss of about Rs 25,000 crore to the industry and a loss of tractor sales amounting to 10 to 20 percent during this period,” adds Shahane. In fact, between 2003-04 and 2013-14, domestic tractor sales more than trebled from 1.9 lakh to over 6.3 lakh units, after averaging about 2 lakh units annually through the 1990’s and early part of the last decade. 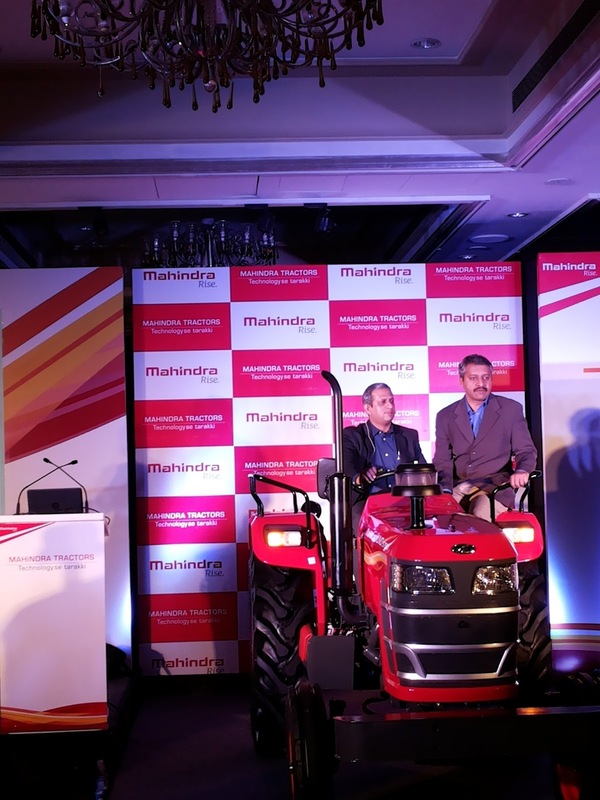 Mahindra has raised the bar in farm technology with the launch of the Mahindra YUVO, a new age, superior technology, range of tractors in the 30-45 HP category which will be added to the company’s existing range of highly successful 15 – 57 HP tractors. The YUVO range comes in five models – 265 DI (32HP), 275 DI (35HP), 415 DI (40HP), 475 DI (42HP) and 575 DI (45HP) respectively. It will be available in 15 states and will be priced starting at Rs 5.00 lakh for 265 DI (32 HP) ESR Bangalore. The advanced technology of the YUVO range helps serve the diverse needs of farmers - from land preparation to harvesting as well as post-harvesting requirements, helps them do more, faster and better. Built on a completely new platform with a unique and Industry first 12F+3R Full constant-mesh gearbox in the category, Mahindra YUVO is extremely versatile and can be used across more than 30 different farming applications. “The Yuvo will cater to the evolving needs of the progressive farmer”, said Mahindra and Mahindra Ltd Executive Director, Pawan Goenka. “The YUVO range of tractors is developed at our state of the art research facility, Mahindra Research Valley at Chennai and has set a new benchmark in pioneering new technology and providing huge value to customers’. YUVO demonstrates the commitment of Mahindra to enable farmers to improve their yield and productivity and Rise in life. We are delighted to launch the YUVO, a definitive technology leader." 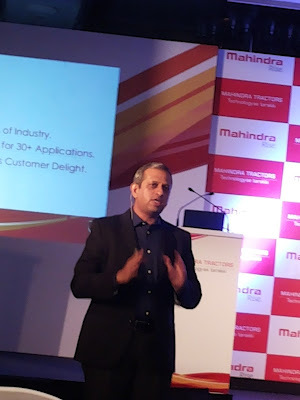 Mahindra YUVO offers many new technology features to Indian farmers looking for tractors in 30 – 45 HP range. It is designed to deliver superior performance in farming operations in any soil condition and offers versatility to carry out over 30 applications, thus making it ideal for using in any part of India. YUVO will be available across 15 states which are Maharashtra, Andhra Pradesh, Karnataka, Telengana, Bihar, Jharkhand, Chattisgarh, Madhya Pradesh, Uttar Pradesh, Haryana, Rajasthan, West Bengal, Gujarat, Tamil Nadu, and Orissa.